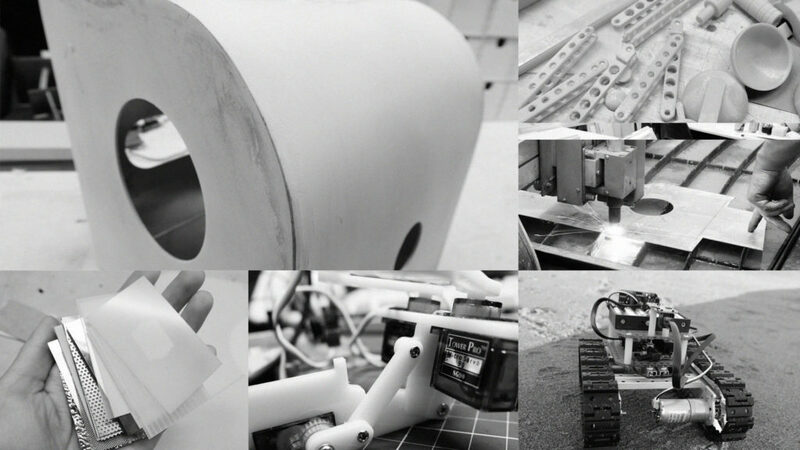 Machines are everywhere in our world, be it virtual or physical. We take it for granted that machines are merely tools that serve us and medium of human interaction. However, with the development of emerging technologies such as artificial intelligence, increasingly we encounter more and more autonomous and intelligent machines that are empowered to learn, reason, and make decisions. This phenomenon poses questions that might challenge our existing assumptions about the essence and ethics of machines. 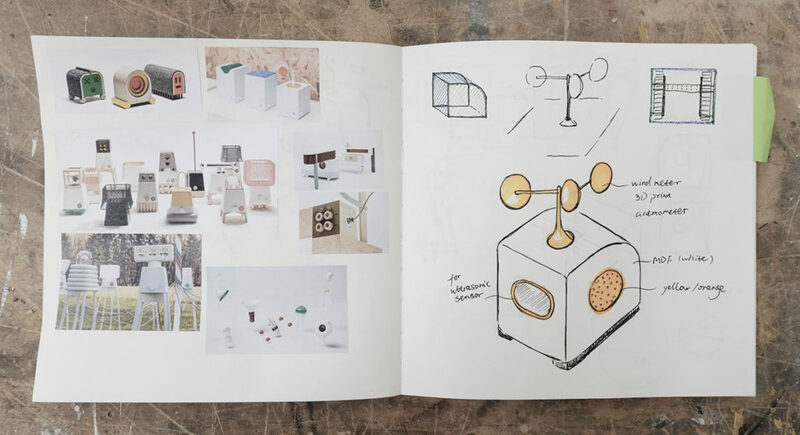 The project considers the alternative life and values of machines to challenge the fundamental anthropocentric assumption. 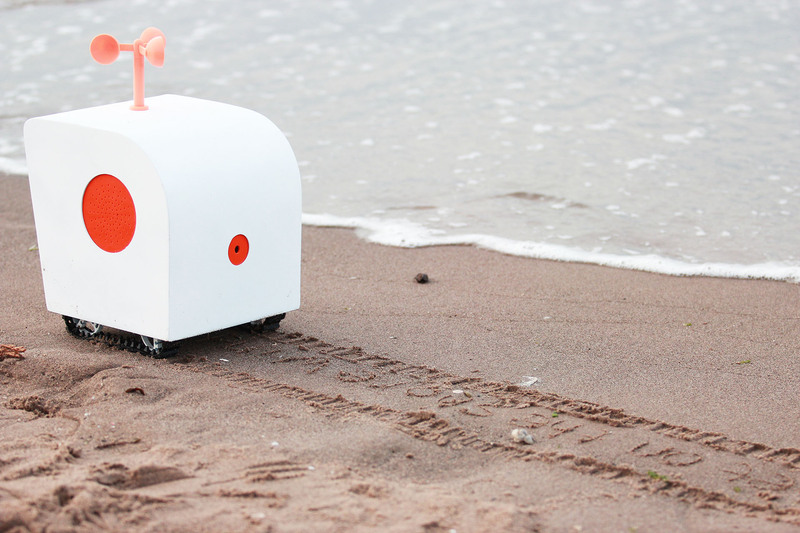 Poet on the Shore is an AI-empowered autonomous robot that roams on the beach. 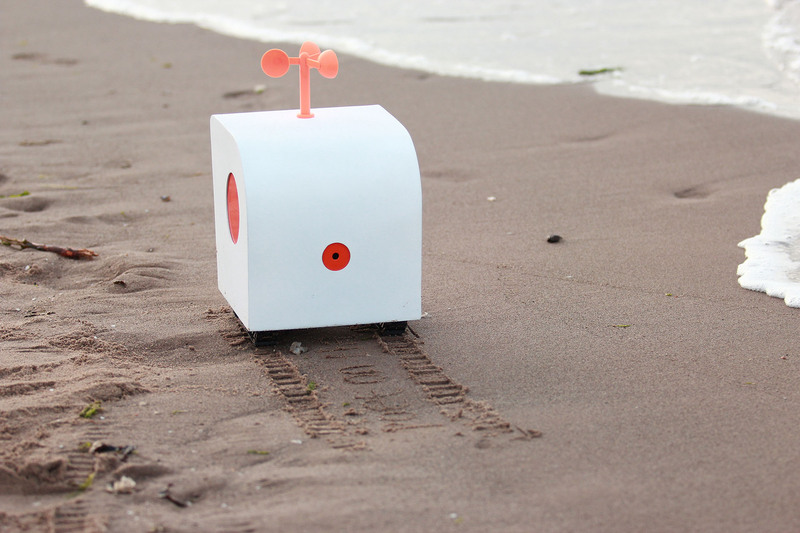 It enjoys watching the sea, listening to the sound of waves lapping on the beach, the murmurs of the winds, children’s conversing, and the incessant din of seabirds. Most of the time, it roams alone to listen and feel. Sometimes, it writes verses into the sand, and watches the waves wash them away. 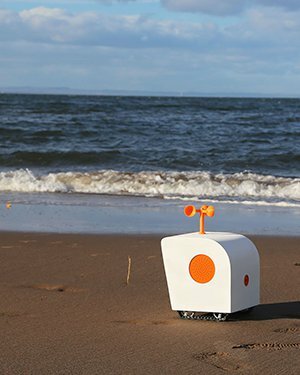 The robot has a number of sensors that enable it to sense the world around it: the sea, the wind, the sounds etc. Empowered by machine learning, it can discover the patterns, and create associations in its mind. Furthermore, it translates these perceptions into poems and write them on the beach. 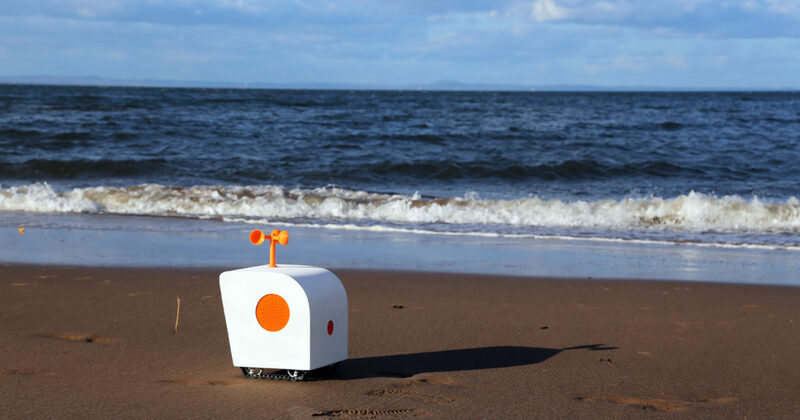 The robot, thus, is able to have multisensory experiences and present a kind of poetic sensibility. It has autonomy such that its behaviour does not require the intervention of humans. As a result, it does not need to demonstrate its value through serving human needs. Rather, its perceptions give its existence value. It also intervenes in the world. 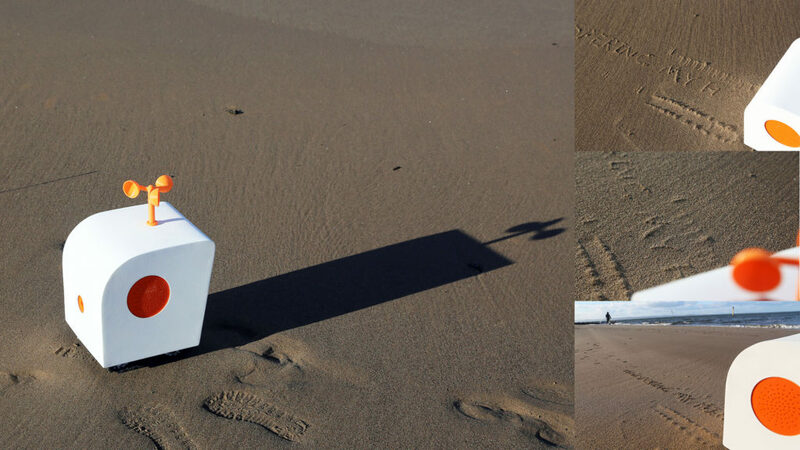 These interventions, expressed through the kinetic and poetic gesture, reveal its non-utilitarian existence: the verses it writes will eventually be washed away by the waves or wind.